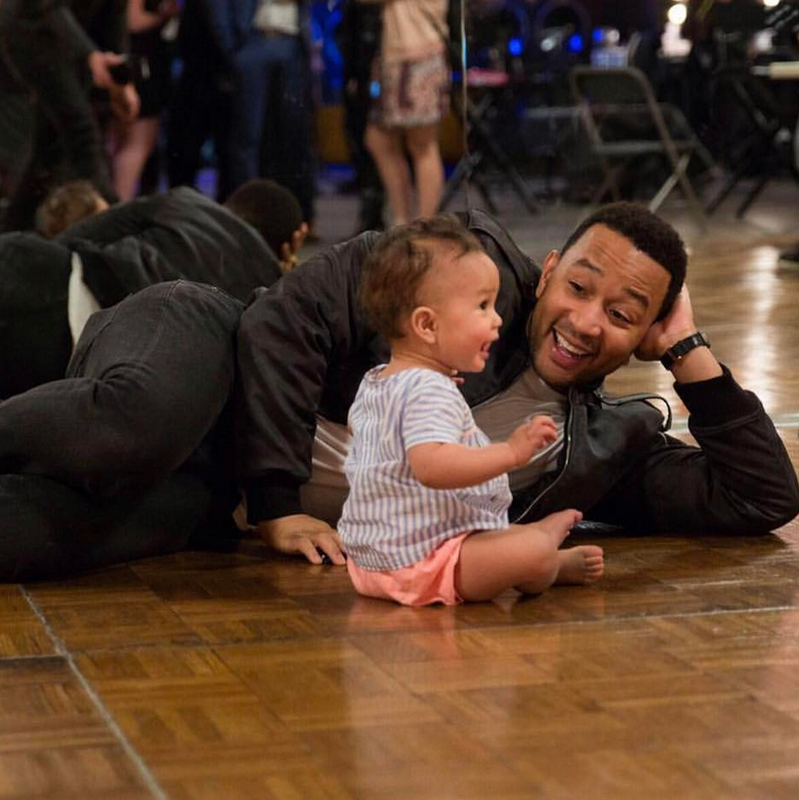 John Legend loves music and his wife Chrissy Teigen‘s short ribs — and it appears the couple’s daughter, Luna Simone, is following in his footsteps. The proud parents shared cute photos of their 18-month-old feasting on short ribs in a series of social media posts on Tuesday, and one picture in particular further showing that Luna and her famous dad have a lot in common. “At the piano, eating a rib. It doesn’t get any better than this,” the Grammy and Oscar-winning singer, 38, captioned a picture of his little girl leaning against the keys with a rib in her hand. Legend has often shared his affinity for ribs on social media, and has guest appeared in many of Teigen’s Snapchat videos when she’s prepared the racks of meat. That same day, Teigen was shooting for the forthcoming sequel to her cookbook,Cravings. “Shooting for #cravings2cookbook today!!! Luna eating @pepperthai2’s garlic soy ribs,” the mother of one wrote along with another adorable photo of Luna eating. And earlier this month, Teigen herself said “Baby John = baby Luna” when she shared a throwback photo of her husband, comparing him to their daughter and proving that baby John bears a striking resemblance to baby Luna. In March, Teigen opened up about her battle with postpartum depression and anxiety, explaining how the condition took a toll on her mentally and physically, and her work projects, specifically how her second cookbook took a backseat to her health.